Crowns, conventional bridges, or dentures may not be your only choices if you are looking for restoration of your missing teeth. Implants are great because they provide you with a smile that feels and looks natural. Implants are placed below the gums and fuse to the jawbone. Implants are very stable and secure since they fuse to the bone. Most people find implants much more comfortable that traditional restorative procedures. To be a candidate for dental implants you need to have healthy gums and an adequate amount of bone to support the implant. Our dentist will be sure to do a thorough examination to see if your mouth is healthy enough for dental implants. Teeth that need to be removed or are now missing and need restoration. Dental implants most resemble a natural and real tooth compared to other procedures that are offered. Implants start with a post that is securely placed and anchored into the jawbone. The bone that surrounds the post will heal in approximately 6 months. Once the healing process has been completed, the replacement tooth will have a stable and secure area for the implant. The end result is a new artificial tooth that looks and acts practically the same as a natural tooth. 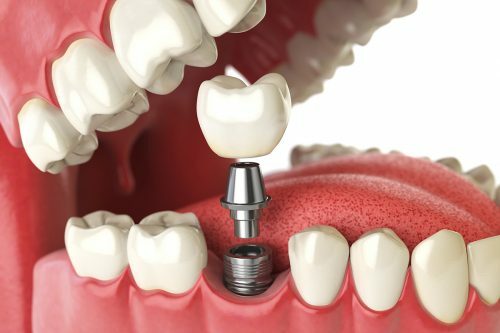 In cases where several teeth might be missing, implants can also act as the teeth that bridges are fixed to, creating a beautifully restored smile. A bridge or partial dentures may be used if dental implants are out of your price range. Ill fitting, loose dentures that can make eating difficult. They can cause painful sores on the gums as they slide around while eating or even speaking. An implant denture could be the answer to your poorly fitting dentures. Usually two to four implants are surgically placed in to the jaw bone. They become anchored to the jaw as the bone heals and secures itself to the implant. IT takes roughly six months for this procedure to heal up. After the healing has completed, the dentist will create a mold for your teeth. Implant dentures are removable and have attachments on the underside that clip the denture on to a bar connected to the implants. These attachments and clips make sure the denture doesn’t slide around and become uncomfortable during day to day activities. Implant Retained Dentures and Implant Supported Dentures are the two classifications that implant dentures can be divided in to. 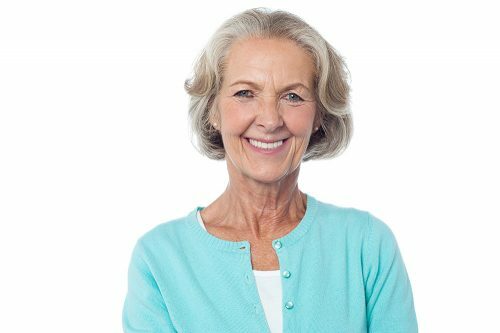 Implant Retained Dentures are more similar to conventional dentures in the way they act and are held in place by the aforementioned attachments and brackets. Implant Supported Dentures are for patients who do not have sufficient amounts of bone in the jaw or supporting tissue in the gums. A new set of dentures may be considered if dental implants are too expensive or are out of your budget.